Policaro Automotive Family CEO, Francesco Policaro recounts the personal side of the family business. The first car Francesco Policaro ever sold was an Acura Vigor. He was 16 years old at the time. If that seems unlikely (which it certainly is by today’s standards), consider that back in the late 70s and early 80s, when he was a child, the best place to find him on a Saturday morning was at the dealership with his father, Basil Policaro. Today, as the CEO of the Policaro Automotive Family business, Francesco sometimes brings his own son to work, setting him to the task of dusting the cars on the showroom floor for $1 each. It’s not the same method of learning the value of hard work that Basil used, but things change. In fact, it was the promise of change that originally brought Francesco’s grandfather, and eventually his own father, to the Toronto area from their home in Southern Italy. In the early 1960s, with few prospects for work or progress in their small town and eight children to care for, Francesco’s grandparents migrated to Toronto where they purchased a home in Little Italy with their savings of $25,000. As the second oldest brother in the family, however, Basil Policaro stayed behind, serving in the Italian military (mandatory at the time) before traveling north in search of work, which he found in Turin, at a factory that produced parts for Fiat. Then, at the age of 21, he joined his family in Toronto and began looking for work once again. Basil’s first job was delivering parts for a repair shop, but he was soon drawn into the world of automotive sales through an owner of a downtown Honda dealership who noticed the young man’s potential. “My father went to work part-time for the owner of these Honda and Fiat dealerships in the early 70s and ended up out-performing the guys who were selling full-time, so he ended up moving into a full-time position,” says Francesco. It was this same owner who, upon hearing a one-year-old Francesco say his first word, “Honda,” on the showroom floor, opened his wallet and handed him a $5 bill. True story. Years later, Basil got his younger brother Tony, now old enough to enter the work force, a position at the same dealership. Paul, the third brother, would also soon enter the workforce as a sales person at a separate dealership. 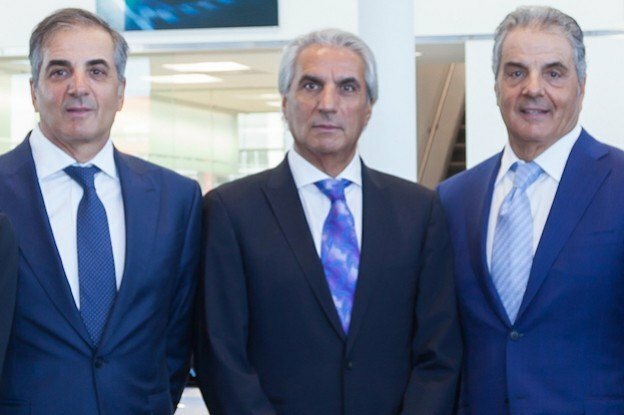 The three brothers continued to sell cars, changing jobs a few times, moving from this dealership to that dealership, but mostly with the Honda brand and always within the GTA, earning themselves reputations as top-performers in their industry. It was at this point that the opportunity to enter the automotive business as owner/operators rose to the surface. The dealership in Brampton that Paul had been working at was looking for partners. 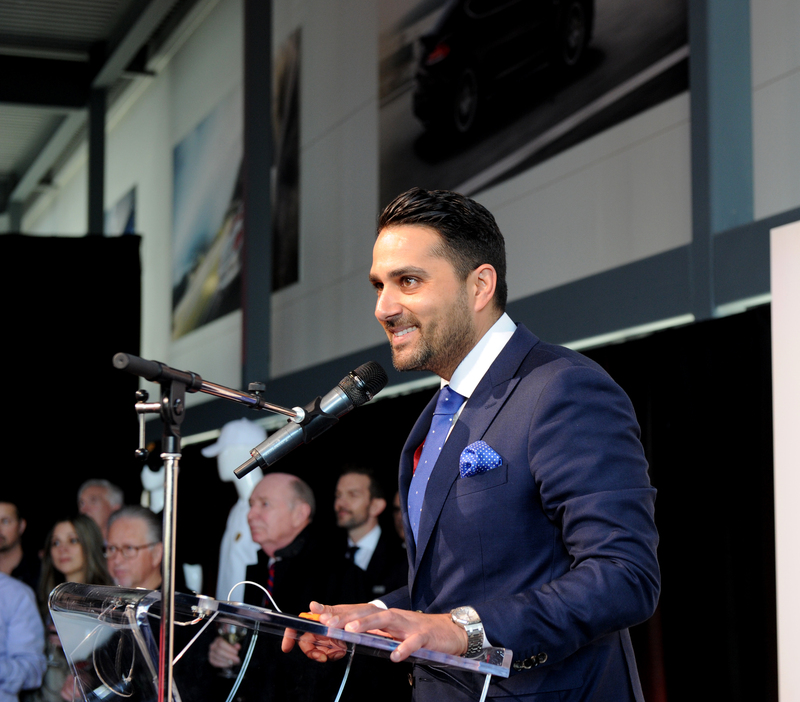 The dealership flourished under the new partnership, rising to become one of the leading Honda locations in the country, but soon a disagreement between partners drove a wedge into the business, leaving the Policaro brothers with no dealership and a chunk of land off of Queen Street East in Brampton. And just like that, after over a decade in the industry, the Policaro Automotive Family business became an overnight success. In 1987, leveraging their strong relationships with the Honda brand, the brothers were awarded the first Acura dealership in Canada. From here, business continued to progress at a healthy rate: the Hyundai location was swapped for Toyota, and then, in 2000, they acquired another Acura location in Barrie and a Lexus in Brampton. Today, the Policaro Automotive Family represents seven franchises representing seven automotive brands and employs over 530 trained staff. It’s a vastly different business than the one Francesco remembers first working in. Francesco then worked his way through the various positions at the dealership, from washing the floors and taking out the trash to working in the parts department, the service department, and, eventually, at the age of 16, sales. Following his school career, he returned to the family business to serve in a sales management role. Twenty years and several management positions later, he now bears the title of CEO. Having spent essentially his entire life up to this point working at the business his father and uncles built from the ground up, Francesco has some unique insights into the business. Change, though, isn’t something the Policaro family shies away from. Rather, it’s something they embrace. It got them this far, and looking forward, Francesco is certain the next generation will continue to face the winds of change with confidence.